Here are the latest trends for the new season, featuring jackets, coats and jumpers, by the all-British brand, Fred Perry. 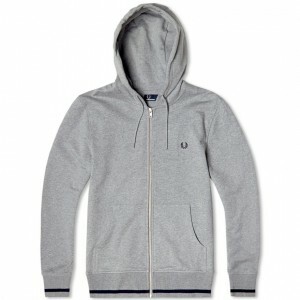 Best of all, we at Apache are offering 10% off on all new season Fred Perry clothing, with a minimum spend of £25.00. Simply enter PERRYB10 at the checkout to receive your 10% discount! Heavily influenced by it’s historical roots, Fred Perry clothing draws it’s style from London, UK and its series of subcultures including Mod Culture, British Pop and Punk. First to inherit those historical roots is the Wadded Mountain Parka. 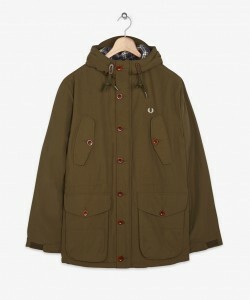 The parka is an iconic and timeless piece which has styled a thousand indie bands across England. This is an all-time fashion favourite that has all the regular parka features including button-up fastening and a drawstring toggle at the waist. A checked peak hood and lining completes the undeniably British look. 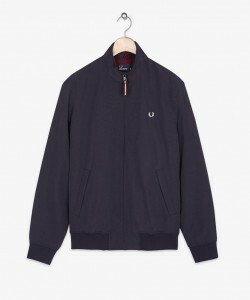 This Fred Perry coat comes in a Thorn or Navy colourway. Among our outerwear we also have the Sailing Jacket, perfect for Autumn as it’s lightweight, durable and warm. This jacket is made with a distinctive cut, a ribbed hem and contrasting tipping bomber stripes. New for the 2014 Autumn/Winter season, they have added the same tipping to the zipper pull, some zipped front pockets and micro fleece lining in contrasting pop colours. The design is finished with an embroidered Laurel Wreath logo on the chest, along with subtle branding on the metalware zip. Check out this autumnal attire in the Navy Blue or Mahogany. The authentic menswear label has successfully blended sportswear and streetwear with this new Bold Tipping Zip Through Hoodie. Fred Perry has used pattern and colour nice and simply with all-over Steel Marl Grey and bold, single tip detailing on the hem and cuffs. To match, the Fred Perry logo has been embroidered on the chest. Another new drop at Apache Online is this long sleeve Classic V-Neck Sweater. A soft knitted sweater crafted from a merino wool and cotton blend, complimented by a V neck design. The knitwear features rib hem detailing and is signed off with the iconic Laurel Wreath emblem on the chest. 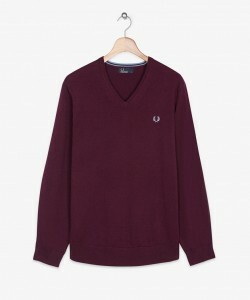 Perfect for layering up with a Fred Perry polo as the days draw in. Fred Perry Promo Code at Apache Online, UK. Shop Fred Perry online and remember to use our discount voucher code PERRYB10 (with a minimum £25.00 spend), giving you 10% off the new season Fred Perry Styles!